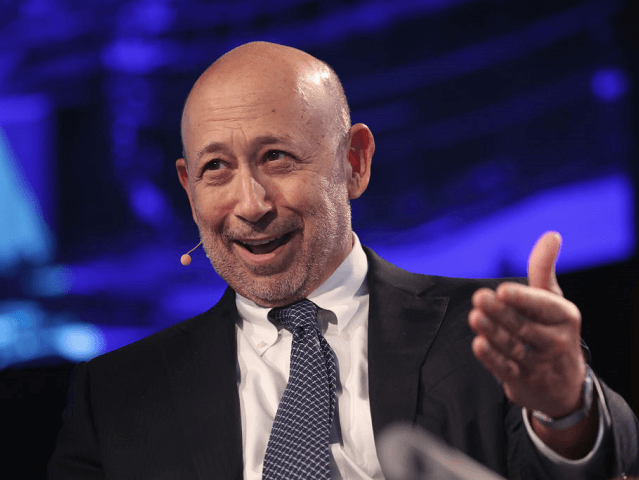 Goldman Sachs CEO Lloyd Blankfein admitted — despite previously strong anti-Brexit remarks — that he’d been wrong about the impact of Brexit, and was surprised at how little economic impact the vote had caused so far. Being frank over his disproven predictions for Brexit, the Goldman boss said “I am wrong because I would have thought there would have been a worse outcome by now”, reports City A.M. Speaking in Brussels Thursday, Blankfein apparently went against his previous position on moving Goldman operations to Europe after the Brexit process, and said Britain leaving the European Union wasn’t a zero-sum game. Breitbart has previously reported on the Goldman Sachs CEO, who has been an outspoken critic of not just Brexit but U.S. President Trump, who he frequently criticises on Twitter.